I have a ton of updates in this post – sorry if it’s getting confusing – but this one is good news: the 122 G&T program has been saved! The DOE has listened! Read about it here. 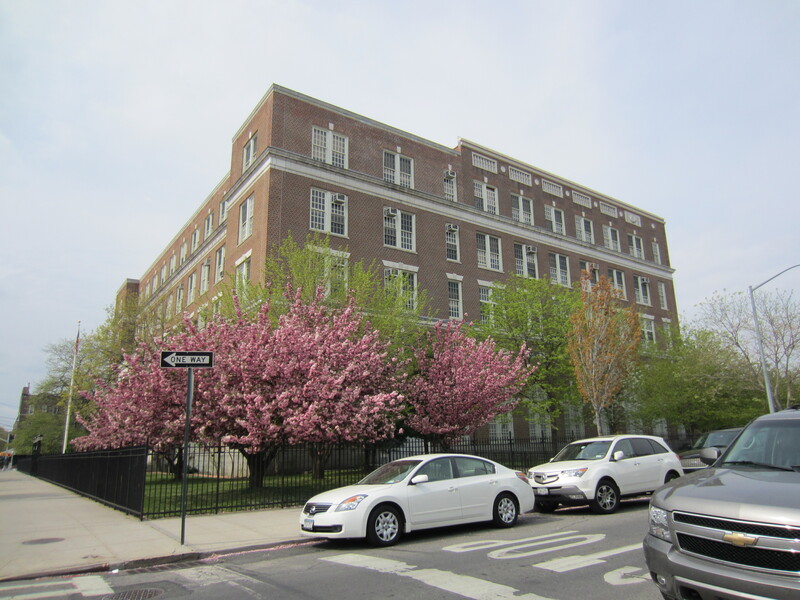 PLANS TO DISMANTLE P.S.122! WHERE WAS THE COMMUNITY OUTREACH?? We all witnessed the outpouring of parents and residents at our emergency meeting last week, attended by over 650 people! Our community stood united. The D.O.E. never reached out to our community like they are supposed to. Instead, they went ahead with their own agenda, never taking our children into consideration. We were clear last week that WE DO NOT WANT THIS CHANGE MADE TO P.S.122. Let’s ask Chancellor Walcott why we were not consulted about this plan. Please join us at the upcoming RALLY and press conference departing from P.S. 122 to the D.O.E. Tweed Building located at 52 Chambers Streeton Thursday, March 14th, 2013 via bus or meet us there. Please email: savedistrict30schools@yahoo.com to confirm you’ll be able to attend the rally! I was honored yesterday to speak to a packed auditorium at my alma mater, P.S. 122 (The Mamie Fay School) in Queens. I went to middle school here in the Gifted and Talented program. The PTA held an emergency meeting because the DOE wants to make major changes that will drastically reduce G&T seats and put the school at 129% capacity in the coming years. There was an amazing turnout and the community is really infuriated about this. I’m just trying to do my part to save a program I love and that has one of the best records in the city. Here are some pictures from last night’s event. Sorry for the poor picture quality – I didn’t have my regular camera. If you weren’t at the meeting yesterday, they gave out a very useful information packet. Please click here to see what you can do. For a summary of the meeting, check out this article. 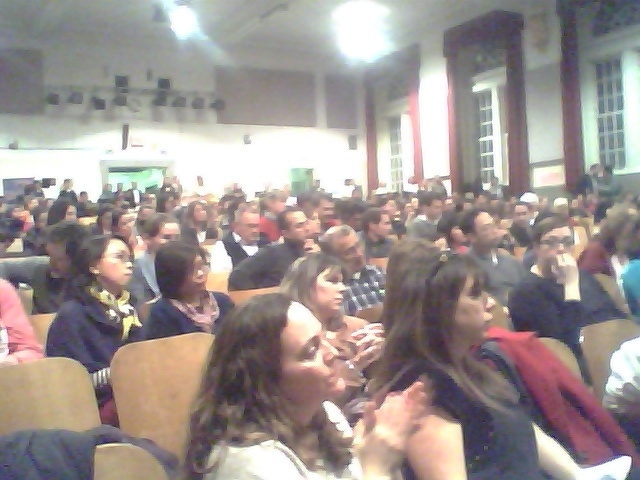 Last week’s emergency PTA meeting at P.S. 122 brought over 700 people to the school’s auditorium. The evening’s event proved that the community is outraged at the DOE’s plans to phase out one of the best schools in the city: The Academy for the Intellectually Gifted. Although no one expected to hear a reversal of the plan, the night did demonstrate residents’ resolve to fight this plan. This upcoming Thursday, March 14, 2013, the struggle continues. Buses will be leaving from the front of P.S. 122, at 9 A.M., and head over to the DOE’s Tweed Building (52 Chambers Street New York, NY 10007). Rally participants will be joined by Councilman Vallone who will hold a press conference in support of the entire school community. P.S. 122 needs your presence at this rally! We need to show Chancellor Walcott that the greater Astoria community is not willing to permit one of its prized schools be destroyed. If you cannot make the 9 A.M. departure time, we hope that you can meet us on the steps of Tweed by 10 A.M. Participants are hoping to demonstrate with signs showing their love for our school and all of District 30. Once again, please let the world know about this event. Use all means of spreading the word in order to ensure the same kind of impressive turnout as that at this previous Wednesday’s meeting!